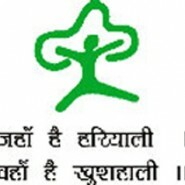 Ministry of Environment and forest has opened a recruitment notice for filling up of vacancy against few seats of stenographer Grade D posts. Applications are being invited for filling up of these posts in the National Green Tribunal, Principal Bench at New Delhi and Zonal Benches at Bhopal, Chennai, Pune and Kolkata. Pay Band-1 Rs.5200-20200 with grade pay of Rs 2400. Graduation from a recognized University with at least 55% marks.